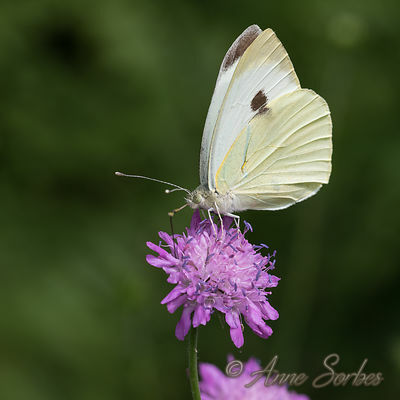 Large White gathering nectar of a wood scabious flower in a wet meadow. 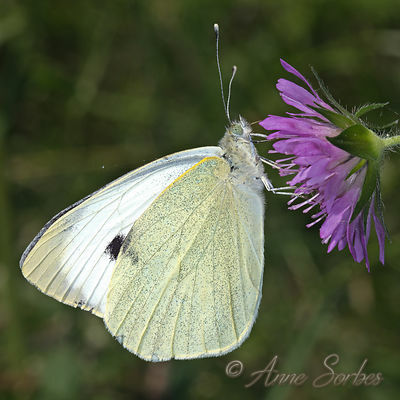 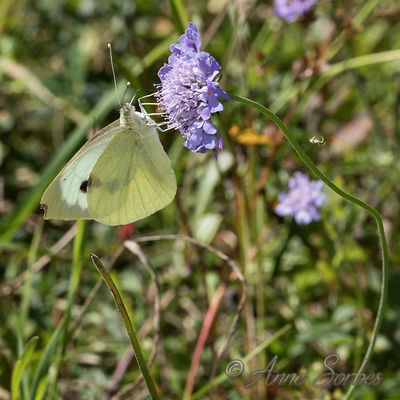 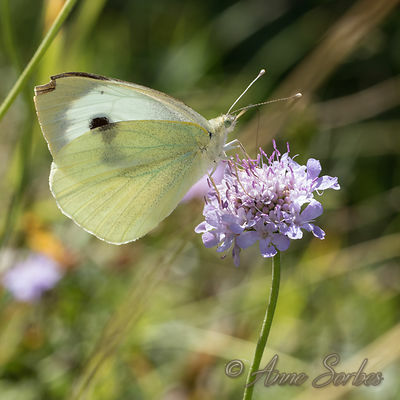 Large White female gathering nectar of a Shining Scabious flower in an alpine meadow of Vercors. 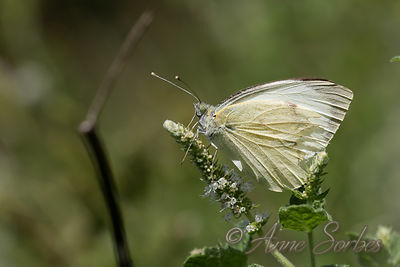 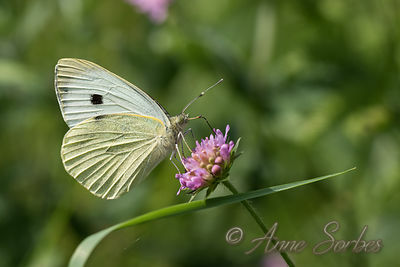 Large White resting on apple mint in a wet meadow.